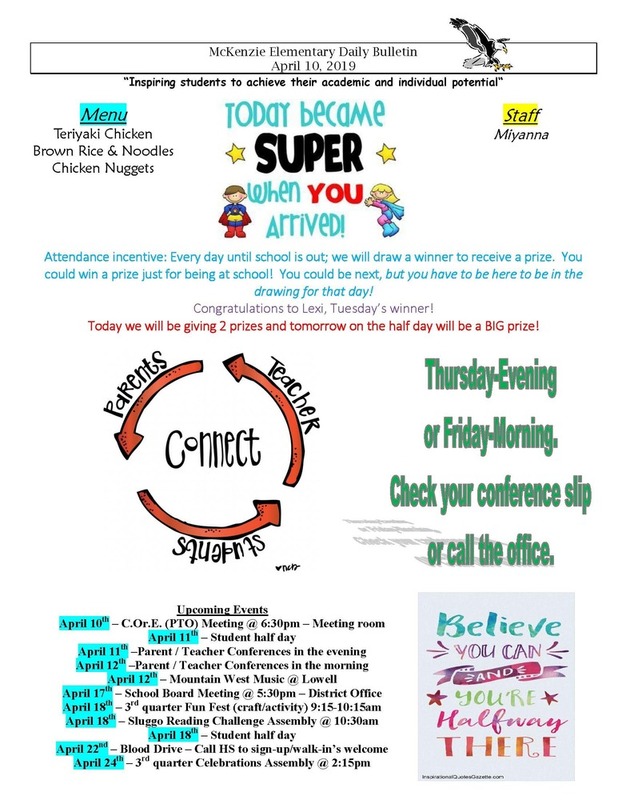 Attendance incentive: Every day until school is out; we will draw a winner to receive a prize. You could win a prize just for being at school! You could be next, but you have to be here to be in the drawing for that day! Congratulations to Lexi, Tuesday’s winner! Today we will be giving 2 prizes and tomorrow on the half day will be a BIG prize!